So Why Do I Call Him The Viking? Yesterday in our Lil’ Suburban Homestead Facebook Group one of our friends on the journey with us asked me why I called my husband The Viking. I decided not to answer her directly in the group because there is kind of a story behind this and it’s not mine exactly but I witnessed the events along the way. 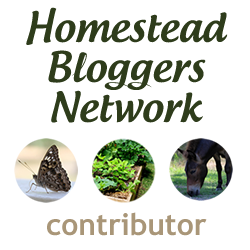 By the way if you haven’t joined our Lil’ Suburban Homestead group please come join us we have some folks sharing some great info in that group! Now on to my story…..You see my Grandpa “Papo” was a french man and the very first time he met my husband who you all know as “The Viking”….my Grandpa turned to me and he said “You have up and gone and got yourself a swede!” From this point on my Grandpa always fondly referred to my husband as the Swede. Interesting until this point I had not really thought of my future husband at this point in time as any nationality other than my boyfriend. Yes I met him when I was 17 years young so I didn’t think much about his upbringing, where he came from, I just knew I was in love! If anything I really wasn’t sure if it was very polite of my Grandpa to refer to my husband that way but he was a man who had a very commanding jovial presence and my husband took it all in good fun as he does with everything in life. So after we were married about 9 years actually my husband got a job in property management in the Washington DC area his boss at the time coined him “The Viking” this was largely because of his noble bearing, quiet resolve, big hands, and swedish looks! She even remarked in a company newsletter that The Viking was responsible for making huge strides in his department etc… so it just took. The truth is at home he was always chopping firewood, building hand made wooden furniture, he always loved working with metal, he was and still is an overall industrious man who loves working with his hands. He built us a timber shed on our 1 1/4 acre of land we owned in Maryland and every project I ever wanted done he rose to the challenge. Even now this morning I told him I needed him to build me a shoe rack for our closet which he will probably knock out this weekend. I am always in awe of how easy projects are for him he can see it in his mind and make it happen. Ironically at other places and in other instances folks have referred to him as the Viking as well it’s quite humorous actually. For years after all of this I have been calling him, my husband, my main squeeze LOL…as “The Viking”. Flash forward to the present and more recently I have a few co-workers at work that know about my blog they may even read it from time to time one in particular does know about me calling my husband “The Viking” and she will make jokes with me about my upcoming steamy romance novel that involves me and The Viking! I don’t know if it will be steamy if it does it won’t be in a book or on the blog LOL. I do know that I plan to have a romance with the Viking for many years to come! So now you all know how I came to call him The Viking and why this name has evolved from the Swede to The Viking and how it holds a special place in my heart! Hope you enjoyed my musings for the day. Happy Saturday! Thank you Nancy 🙂 I am glad you enjoyed it…..funny how I just assume everyone knows what I am thinking LOL! I so appreciate your visit and your kind comment! “Viking”, too! He was very tall, with Northern European good looks and very intelligent, with a wicked sense of humor. He could solve almost any problem and before he got sick, he was into metal crafting and created many really cool art pieces. He was a great father to our two (now grown) sons and a wonderful husband and best friend. So, I can appreciate your story, Thank you for sharing your great website and blog… I love it!!! Kathy thank you for your kind comment! I am glad you enjoy visiting my lil’ blog….and I would love to see some of the art work your husband created sometime! I am amazed at how talented these Viking men are…….sending hugs and love to you. You have made my day with your beautiful comment! Love it! I think it’s great to have a name for the hubs that you and he can have that connection with. CUTE! Thanks so much for visiting Shan! We do have a great connection and love being on the journey with others for sure! 🙂 So pleased you stopped in!